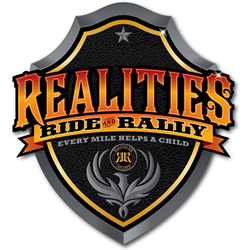 The Realities for Children Ride and Rally event takes place in Fort Collins Colorado in May. This wonderful event fundraiser include a Ride and Rally, the world’s largest Poker Run, a great celebration with fun kids and family events including bungee trampolines, live music, hot wing eating contests, face painting, dunk tanks, zip lining, as well as beer, bikes, and more! This is a great event to support with 100% of the proceeds going towards at risk children who have been abused / neglected. Need Lodging in the Fort Collins area, for this event? Discover Great Hotel & Lodging Deals for Ft Collins and more.